Collection of 'Must have Kitchen Tools' from all over the world. 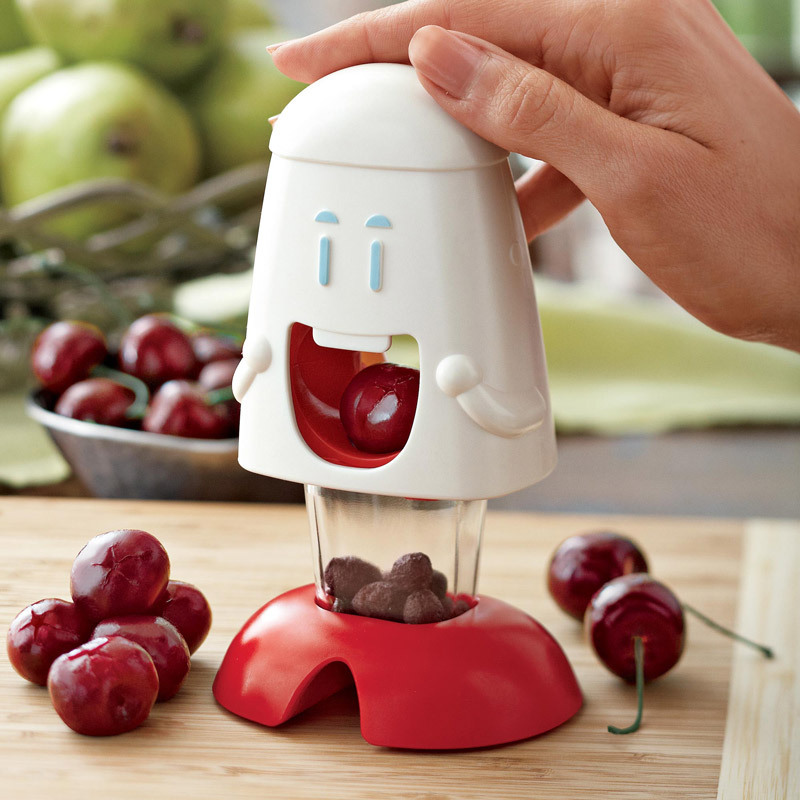 Cherry Pitter: Just place a cherry in his mouth and push down on his head, the plunger pushes the pit and juice down into a container below, leaving behind the pure fruit that can be used in desserts, salads and more. Buy Now: $15. Banana Slicer: Just peel your banana, and push this gadget down from top; it creates evenly sliced pieces. 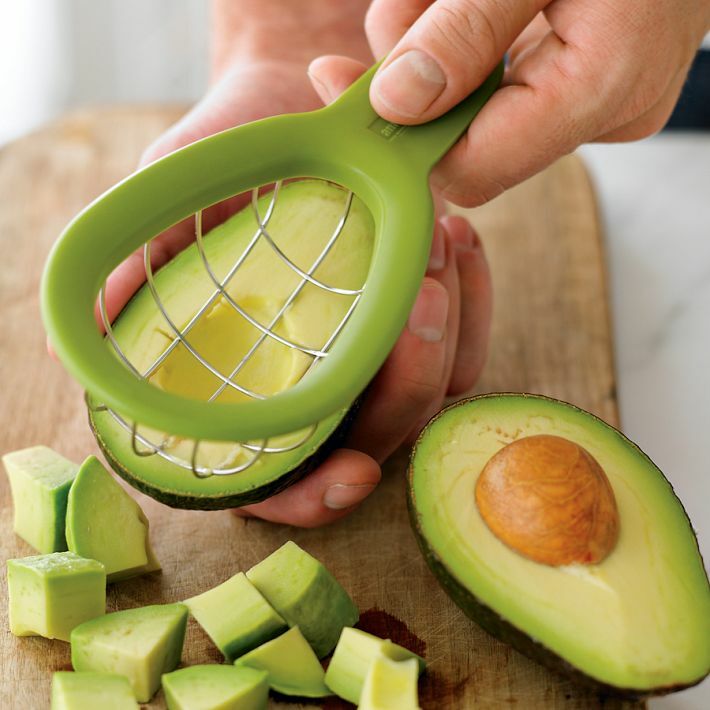 Buy Now: $5.89. 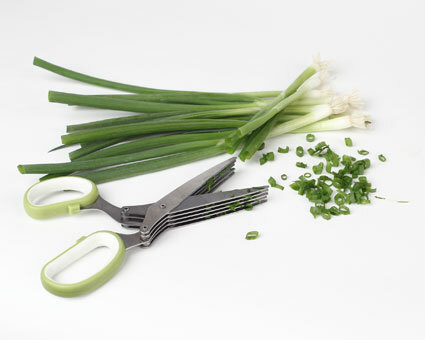 Herbs Scissors: The unusual blade design features a set of five sharp blades that mince fresh herbs quickly and easily. Buy Now: $9.95. 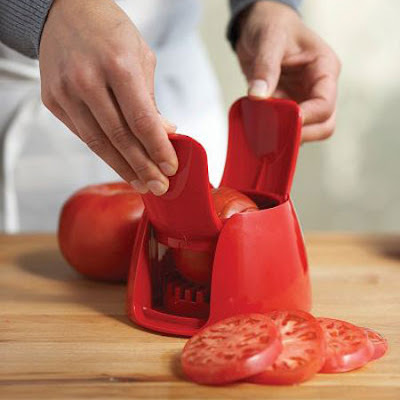 Tomato Slicer: This cool tool quickly turns one tomato into nine perfect 1/4" thick slices in no time. 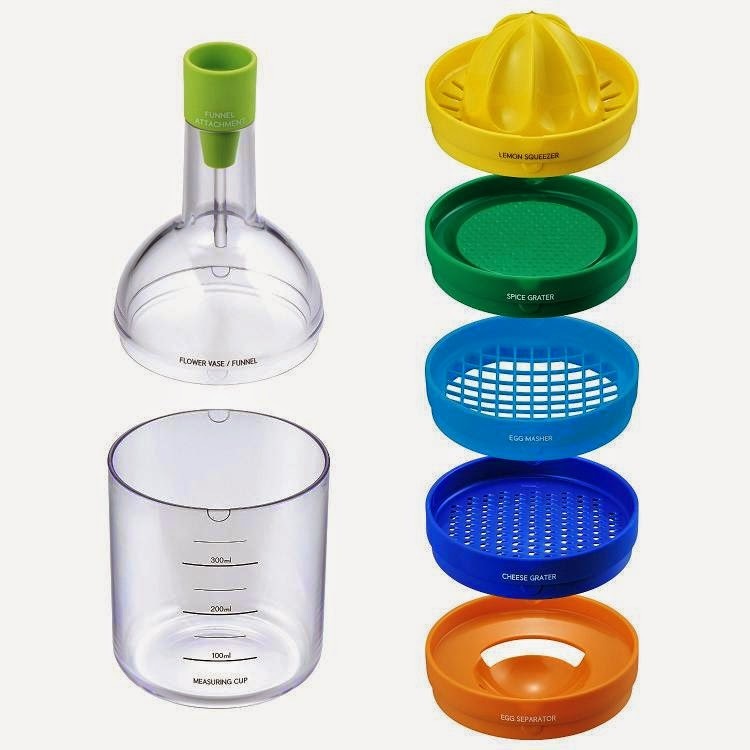 Buy Now: $19.62. 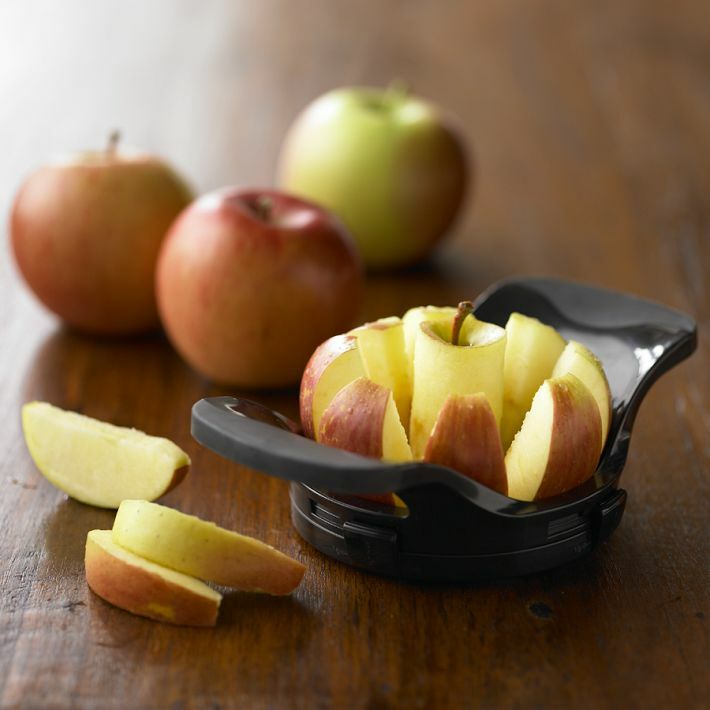 Apple Divider: This tool produces two sizes of uniformly sliced apples and with a downward push, it cores an apple and cuts it into thin slices. 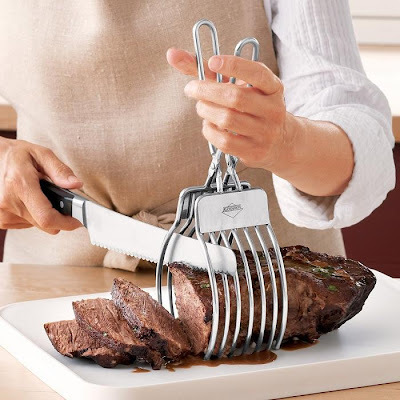 Buy Now: $22.95. 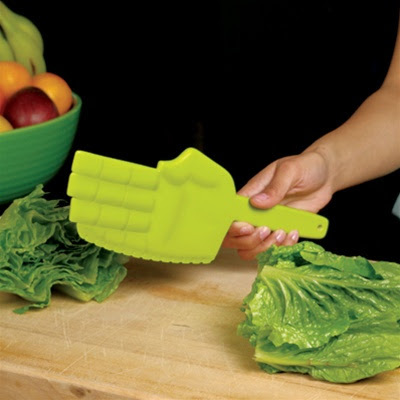 Lettuce Chopper: This cool karate chopper gives your lettuce a swift slice and prepares fresh salad is seconds. 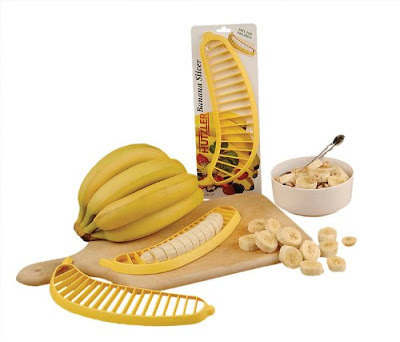 Buy Now: $14.99. 3-in-1 Avocado Slicer: Split them, pit them and slice them up with this cool avocado slicer. 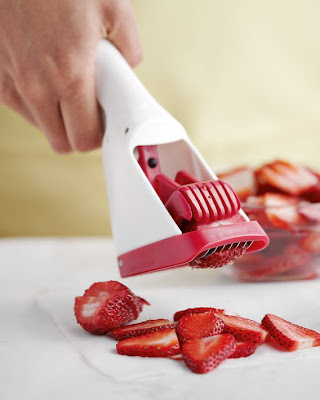 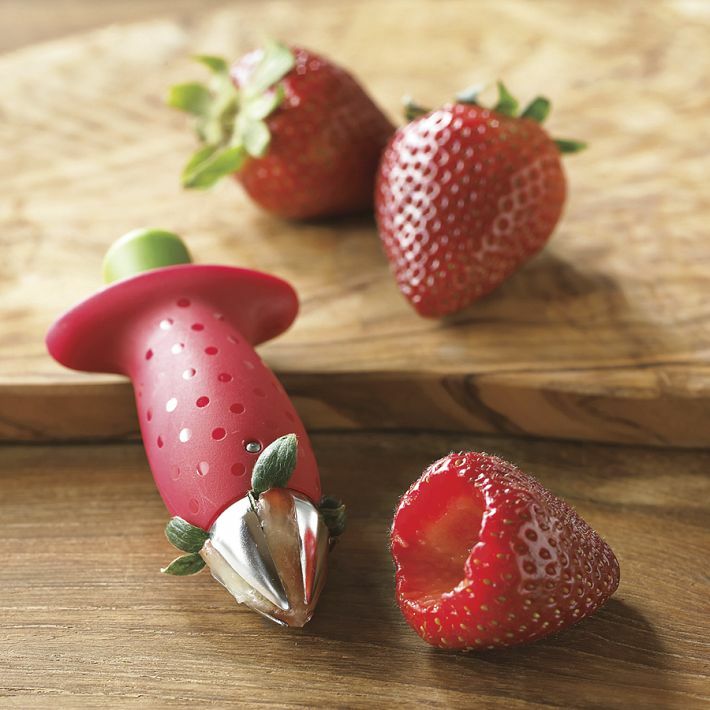 Strawberry Slicer: This cool gadget transforms a whole strawberry into perfect slices with just a press of the holder. Buy Now: $14.95. 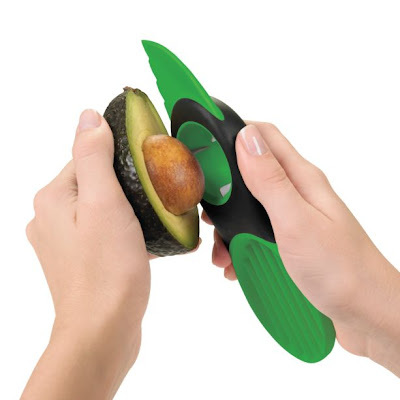 Avocado Cuber: Useful product designed for making uniform-sized cubes of avocado. 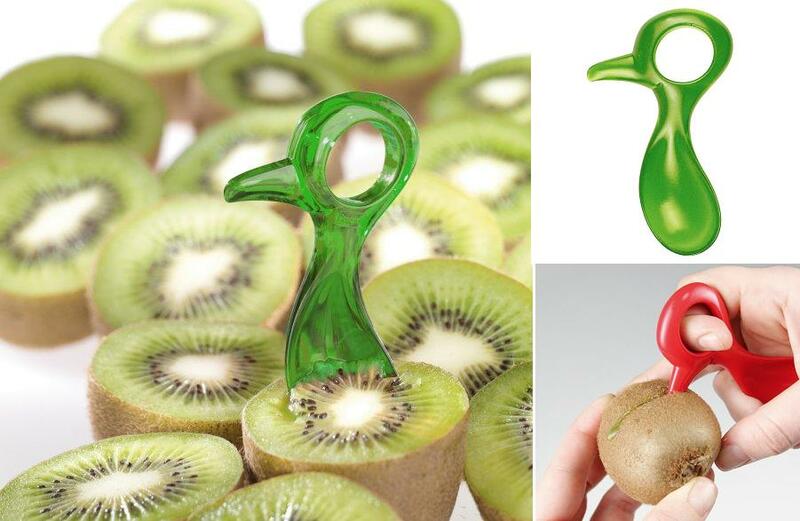 Buy Now: $17.95. 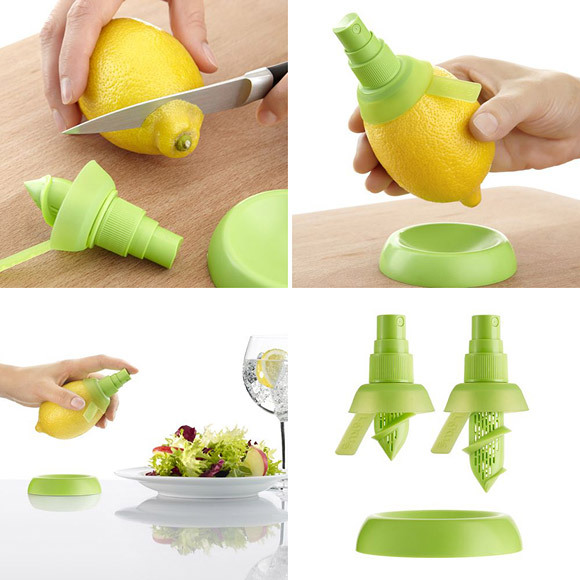 Bin 8 Multi Kitchen Tool: It has 8 essential kitchen tools in one; works as funnel, lemon juicer, spicegrater, cheese grater and more. 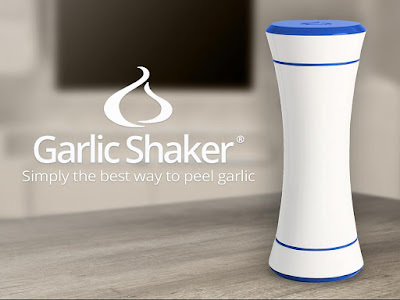 Buy Now: $10.32.